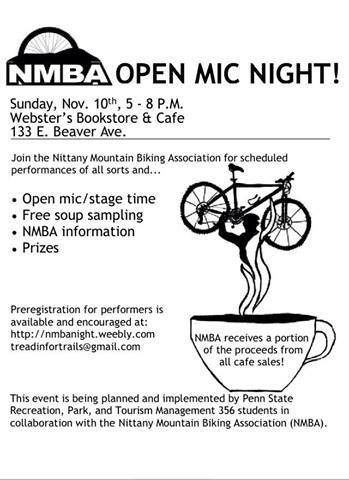 Come out for an open mic night at Webster’s bookstore and help support the Nittany Mountain Biking Association! 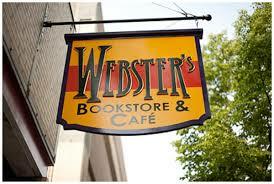 There will be an open mic, free soup sampling, NMBA information and prizes! For more information and to pre-register for the open mic check out the NMBA website.